APTN feels strongly about serving our communities and the area of Community Relations is key to achieving this mandate. The APTN Community Connections website is not just about connecting us to communities it’s about connecting them to each other as well. APTN Community Connections aims to foster, enhance and build relationships with First Nation, Inuit and Métis community members, organizations and agencies locally, regionally and nationally. As Director of Community Relations, Vera continues to strengthen APTN’s relationship with its viewers and audiences through direct communication with communities at a grassroots level. Through bringing communities together, the network will become the medium through which we will engage to learn from each other, interact and share our stories. Vera started out as a wordsmith of sorts; she graduated from Red River College with a Journalism diploma and has nearly 25 years of experience in broadcasting. She’s worn many hats at CTV and APTN as well as at the Assembly of Manitoba Chiefs. 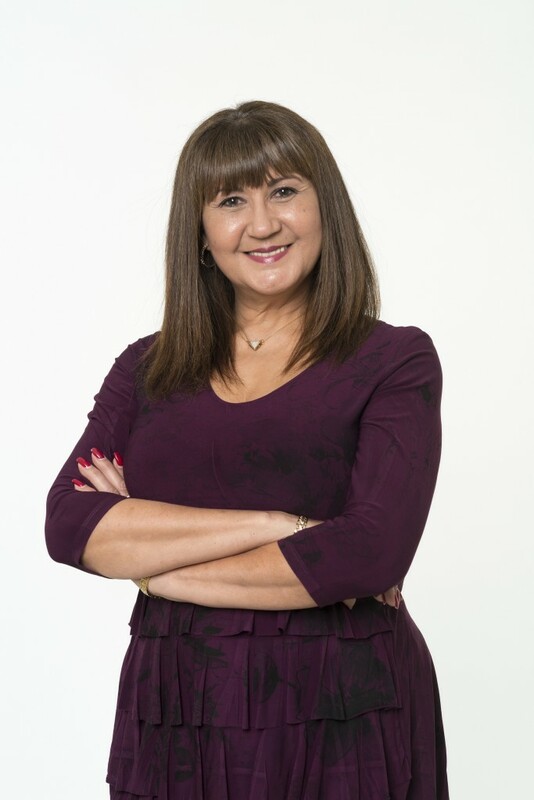 Vera held the role of Executive Producer of APTN National News starting in 2005, where she swiftly made the move to Director of News and Current Affairs from 2005 to January 2012, when she accepted an appointment as Director of Community Relations. Vera’s a proud member of Manitoba’s Sandy Bay Ojibway First Nation and speaks Ojibway fluently.